The Conference of Parties (COP) of the United Nations Convention to Combat Desertification (UNCCD) recently elected Dr William D Dar as the new Chair of its Committee for Science and Technology. Dar was elected during the opening day of the 8th COP session in Madrid, Spain, last week. 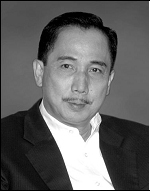 He was nominated by the group of Asian states as a distinguished Filipino citizen on behalf of this region. Dar is the Director General of the International Crops Research Institute for the Semi-Arid Tropics (ICRISAT) based in Andhra Pradesh, India. He is among few Asians who have headed one of the Centers affiliated to the Consultative Group on International Agricultural Research (CGIAR). No doubt Dar's achievements as ICRISAT's Director General helped propel him to this global responsibility. Dar will naturally serve as a contact person for the Alliance of CGIAR Centers to the UNCCD. CGIAR Centers carry out research highly relevant to the UNCCD such as the ‘Oasis,' an ICRISAT-led CGIAR Challenge Program candidate. The Committee for Science and Technology is responsible for advising the UNCCD on all scientific issues relating to its mission on desertification, land degradation and drought. Signed by 191 countries, the UNCCD embodies the world's commitment to combat desertification and land degradation. It was created as an outcome of the 1992 United Nations Conference on Environment and Development (UNCED), popularly known as the Rio Earth Summit. Its importance was underscored by the 2000 Millennium Summit that issued the Millennium Development Goals, and by the 2002 World Summit on Sustainable Development.